Identifying the spare parts that are critical to your ongoing operations is perhaps one of the most important and yet least understood aspects of spare parts inventory management. Many companies have a working definition of criticality, but it is too narrow to be of any real value. Others set parameters that don’t really reflect the critical nature of the parts. And some companies seem to have a ‘wait and see’ approach that only defines criticality after the event! All of these approaches take a narrow view of MRO and critical spare parts management and can simultaneously expose the company to both increased inventory expense and greater risk of operational losses. 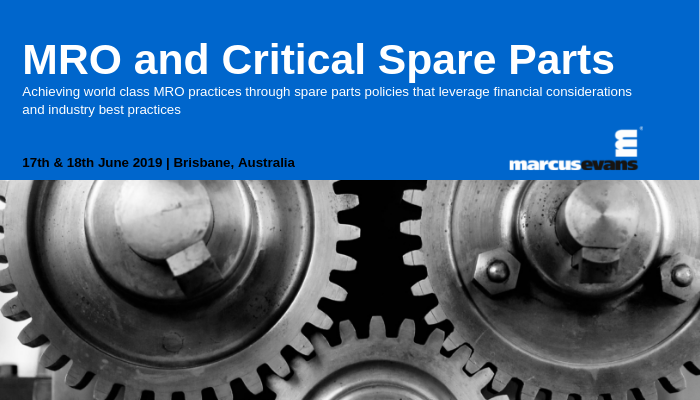 Effectively managing MRO and critical spare parts inventory requires an holistic approach that understands the full life-cycle of spare parts inventory management. This covers: initial forecasting, first time buy, categorization, defining criticality, setting ROP and ROQ, inventory optimization, last time buy, and managing obsolescence. In the extensive two-day workshop, Phillip Slater will take you through the entire spare parts management life-cycle. This will enable you to implement a best-in-class approach for MRO and critical spare parts management. The workshop will be interactive with exercises, pop-up panels, discussion groups, and plenty of time for your questions. •	Apply critical thinking to identify, analyze, and solve spare parts inventory management problems. •	Develop and implement a spare parts management system appropriate to an organization’s resources and needs. •	Identify and differentiate critical spare parts and determine appropriate actions for stocking and supply. •	Evaluate existing and planned spare parts holding levels and determine if they are appropriate based on demand and supply constraints. •	Develop and critique sparing plans for both First-time-buy (capital purchases) and Last-time-buy. •	Plan for and identify opportunities for minimizing spare parts obsolescence. This workshop will enable you to achieve meaningful change in the way that you manage your MRO and critical spare parts inventory. Click here for more information, to download the event brochure, and to register.